Tomorrow !!! 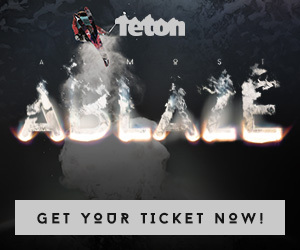 November 13, TGR is coming back into NYC for a one night only premiere of the IF3 SKI film of the year, ALMOST ABLAZE!!! Join us at Webster Hall for an amazing night with appearances by Sage Cattabriga-Alosa, Angel Collinson, John Collinson, Tim Durtshi and Ian Mcintosh. There will be featured prize giveaways by Atomic and Vilkl Skis, Sony Action Cams and TNF jackets. You know if its snow on the East Coast, we’re going to be there representing… So get down and join us for the premiere Thur November 13th! It’s gonna be a huge screen at Webster Hall! It’s the closest you’re going to get to being on the mountain in NYC. A whole crew of athletes will be on hand, PLUS everyone in attendance will receive a FREE lift ticket to Revelstoke Mountain Resort in BC! This entry was posted in Events, Film, Video, and Media, News. Bookmark the permalink.